So we are delighted to have recently won the prestigious rebranding design contract for Lily O’Brien’s chocolates. We were selected as the winners from design companies across Ireland and the United Kingdom. According to Mary Ann O’Brien, company founder, we more than proved ourselves against stiff competition and she was delighted to be awarding us the contract, bringing it back to Ireland and close to home. We are absolutely thrilled with this win. 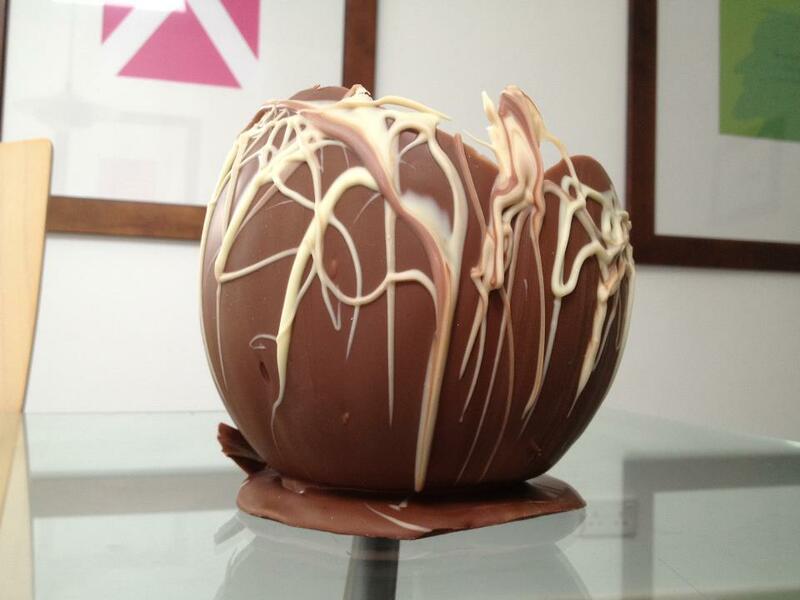 As chocolate lovers with some creative ideas, we’re hoping to have some fun with this one! A contract of this calibre is a great achievement for a company of any size, and we are delighted that our small company won this one. Our branding and packaging designs are being well received by the Lily’s team to date and we look forward to seeing the new designs rolled out and on the shelves in 2013. Visitors to our Facebook page may have seen that we took a visit (most of us) to the Lily’s factory just before Easter. We tasted some of their brand new recipe chocs (so delicious), met the team there, got a tour of the marketing room, the wrapping and packing area and the chocolate kitchen where the magic happens. Mary Ann herself showed us how it’s done as we followed her lead (Blue Peter style) and made our own chocolate bowls. We each blew up a balloon, dipped it in 40 degree milk chocolate, decorated it by dripping white chocolate around it and then allowed to cool. While we awaited their completion we made some Lily O’Brien Easter eggs – totally spoiled and loved it!! Fiona’s bowl shown here won first prize and with it lots of extra goodies. We left a very happy bunch. A lovely way to start our working relationship. Now we need to plan a trip for the Lily team here… Maybe we’ll give them turns driving the combine at harvest time?